At home I have a connection to my provider via glass fiber that provides two VLANs: IPTV and Internet. The structure of the network is exactly as shown in the following image, except for the phone connection, that I don't have. The router I use (in the image the one with antennas) is based on OpenWRT and kept updated. As switch in front of the glass fiber I use a Netgear GS108Ev2 switch, that has no web access, but only access through the Netgear ProSafe utility with a simple password. I set a password and I gave the router a static IP address in the local network, but I'm not aware of any setting that can restrict the access to the configuration to a specific VLAN, therefore I guess it would be possible to brute force the password from Internet and then change the IP settings of the router, to allow configuration via Internet side. What are the risks I'm exposed to? Is there something malicious an attacker could do besides scrambling the settings and causing headaches/loss of service until I restore everything? I consider this alternative of no interest for attackers, especially since it requires brute forcing a password (assuming no other vulnerabilities in the router). I think there are no workarounds, but please mention them, if they are simple (otherwise I'll open a new question). I also have a Netgear GS105E v2, in case it helps. Your setup doesn't look unusual to me from a security perspective. At the end of the day something has to outward facing if you are connected to the Internet, right? To your question of further hardening techniques, most small office/home routers and switches I've encountered have an option in the administrative settings to force only local management of the device, meaning you have to be plugged into the LAN to authenticate and change anything. All other login attempts from outside IPs would be bounced. Perhaps your setup has something similar. I would also look at ways to layer your defenses. For example, configuring additional, physically separate, routers behind it to filter the traffic going to each leg of your network. Perhaps your network has some of this already, but it seems to me like most everything was coming from one box rather than being broken out. The idea is adding layers of both logical and physical complexity for an attacker to overcome before getting to anything really sensitive, giving you some time to detect and mitigate the issue. Besides that, generate some hard passwords and rotate them out periodically. Not the answer you're looking for? 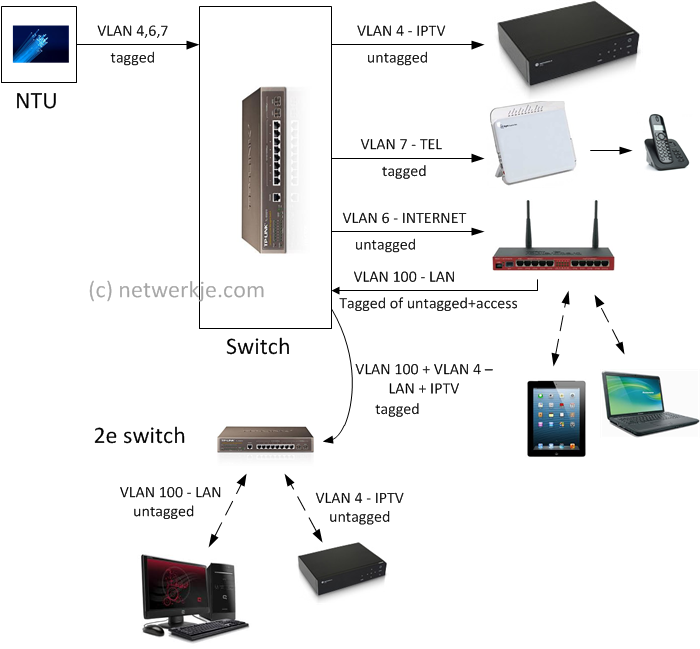 Browse other questions tagged access-control internet vlans switch or ask your own question. What are the advantages/disadvantages of attribute-based access control? Smart cards and firewalls are what type of access control? What is the difference between claims and capabilities in access control? What are the risks of allowing business users direct production database access?